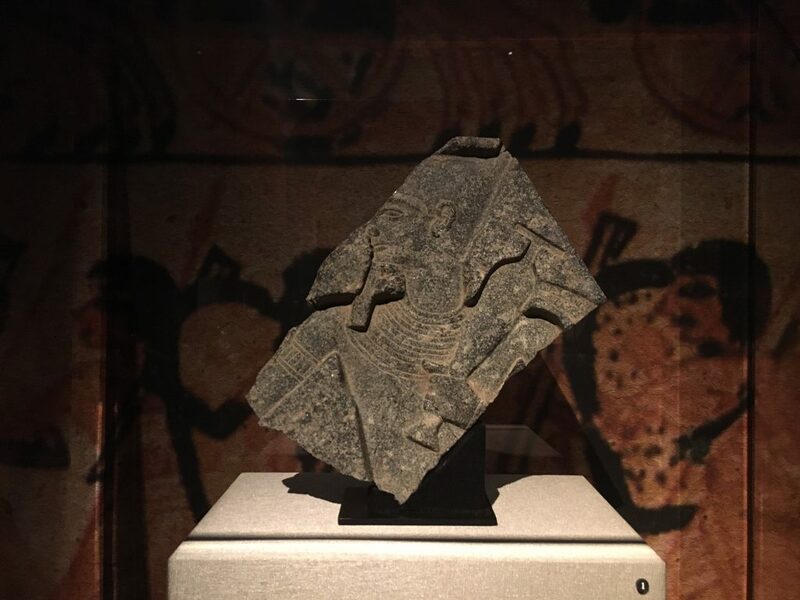 The image above shows a carved granite slab on display in our Hall of Ancient Egypt. It depicts Rameses II running a symbolic race during one of his Heb-Sed festivals. He carries a water jug over his shoulder possibly representing the burden of his rule. But what is all this for? Some readers of this blog may be familiar with the Presidential Fitness Test. The ancient Egyptians had something seemingly similar, but with a twist—the Pharaonic fitness test. But this test wasn’t meant for teenage Egyptians in gym class, they were too busy either studying (if they were lucky) or doing backbreaking agricultural labor. This fitness test was designed specifically for the Pharaoh himself. It’s purpose was to prove that the Pharaoh was still fit to rule the country. It sounds kind of strange—a king having to prove himself to his people—but actually the Heb-Sed festival presented the pharaohs with an opportunity to flaunt all of their success and achievements to their adoring public. Elaborate temples would be built and offerings would be made. The race was completely symbolic and involved the king running four times around a course representing the frontiers of Egypt. Two laps dressed in the royal regalia of Upper Egypt and the last two laps dressed in the regalia of Lower Egypt—to symbolize his domain over the unified kingdom. Ebony label depicting the pharaoh Den, found in his tomb in Abydos, circa 3000 BC. 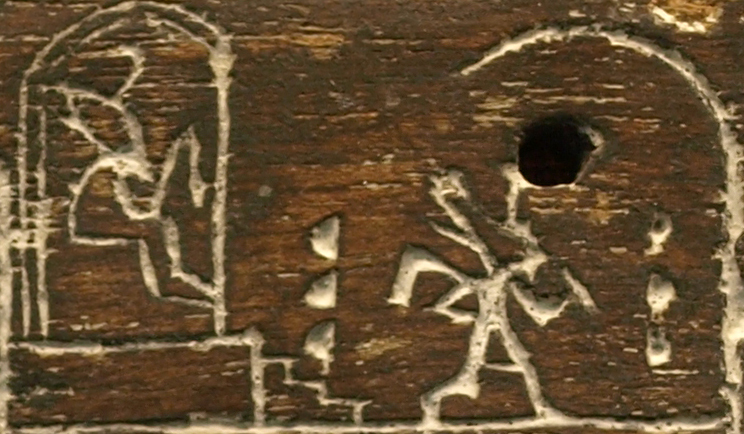 Top register depicts the king running in his Heb Sed festival as well as seated on a throne. Lower register depicts the destruction of enemy strongholds and the taking of captives. Author: CaptMondo. Source: Wikimedia Commons. Finish times or breaking speed records were not important. In fact, at least one pharoah didn’t even have to run at all. Amenhotep III is said to have been sailed around an artificial lake in a boat loaded with statues of deities to symbolize the journey the sun takes across the sky every day in Ra’s boat. A bit more of an ambitious undertaking than festivals held by previous rulers. The festival was normally held after a pharaoh’s first 30 years of rule and then held again every three years thereafter. However, since many pharaohs didn’t live long enough to to complete thirty years of rule, many held the festival earlier in their reign. Akhenaten held his first Sed festival after only a few years on the throne! Although the festival was intended to be a renewal of an aging king’s reign and an exposition of his physical prowess, it was more often used a a PR tool. But that was typical for pharaohs, always looking for attention and adoration from their subjects. Case in point – have you seen the pyramids? Previous Post Selections From Our Collections: Who’s Ground Are You Stomping On?